What’s it like managing Dustin Johnson — ‘the John Wayne’ of golf? (CNN) Researching US college golf results a decade ago, veteran sports agent Rocky Hambric’s eye was caught by the name of Dustin Johnson. Although Johnson played at a small school in South Carolina — Coastal Carolina University in Conway — his results were so good that Hambric decided to send one of his associates, David Winkle, to watch him play. “I immediately got a phone call back saying ‘This guy is just unbelievable, he is a physical specimen like we’ve never seen in golf, he hits it further than I have ever seen,'” Hambric told CNN in a rare interview. After seeing Johnson play for himself, Hambric — the founder and chief executive of Hambric Sports — decided to recruit the athletic American and, in his final year at college in 2007, the future world No.1 signed with Hambric’s company. The 33-year-old Johnson has won at least one tournament a year in the past decade, collecting a total 15 career victories. He has become one of the sport’s richest players — he earned $27.6 million last year to rank 48th in Forbes’ list of the world’s highest-paid athletes – with a string of lucrative endorsement contracts, including German sportswear company Adidas and Swiss luxury watch brand Hublot. After a couple of near-misses, he finally broke his major duck when he won the US Open last year and is now the world’s top-ranked golfer and joint-favorite to win the Open, which began Thursday at Royal Birkdale Golf Club in Southport, England. A tax accountant based in Dallas, Texas, Hambric had become friends with pro golfer Larry Nelson, who had asked him for some business advice in the late 1970s. “After doing a couple of years of that, Larry came to me one day and said ‘I think you should be doing this as your primary occupation,'” Hambric recalled. When Nelson won the second of three majors at the 1983 US Open, Hambric decided to take the plunge. He sold his financial advisory business to his partner to become a full-time golf agent. “It grew fairly quickly,” said Hambric who, at one stage, represented the four winners of the major championships held between the 1986 and 1987 PGA Championships. How to find the next big thing? Fast-forward to 2017, Hambric Sports represents 33 golfers, including this year’s US Open winner, Brooks Koepka, and Scotland’s Martin Laird. It has offices in Dallas and Dublin and recently opened a third, in Los Angeles. Although the game has changed since Hambric became a sports agent, there is one constant when it comes to finding golf’s next big thing. “One thing that has never been changed in the 40 years that I’ve been doing it is that you look for character,” said Hambric, whose business strategy is based on signing players that are about to turn pro. Hambric credits Johnson’s resurrection partly to the wisdom of age and also to the support of his family — his fiancee, Paulina Gretzky, their two young children, and his father-in-law, Canadian ice hockey great Wayne Gretzky. Just being around an athlete of the caliber of Wayne Gretzky, the all-time leading scorer in the National Hockey League, a man nicknamed “The Great One,” is an inspiration. “It’s more the osmosis of being around someone,” Hambric said. 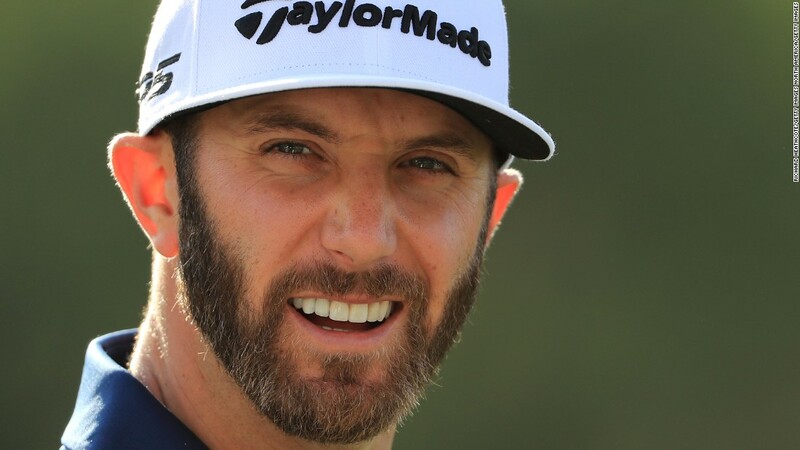 « What’s it like managing Dustin Johnson — ‘the John Wayne’ of golf?